The Roland TR-8S Rhythm Performer combines the most influential and iconic drum machines of all time into one sleek device. Includes cu.. The Roland TR-8S Rhythm Performer combines the most influential and iconic drum machines of all time into one sleek device. Includes custom sample support and a host of new live performance features to make it the most powerful step sequencer on the market to date! 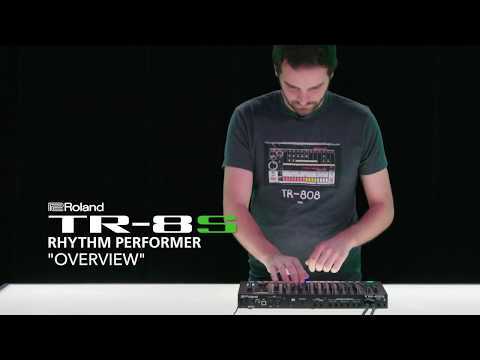 Designed with the studio producer and live musician in mind, the Roland TR-8S Rhythm Performer evolves the original design of the AIRA TR-8 to make it easier to navigate, sequence and customize. No longer is it just limited to the TR-808 sound bank - it now includes every sound from the most sought-after Roland Drum Machines. 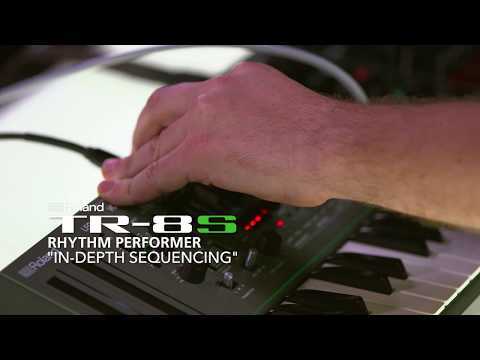 With authentic recreations of the 808, 909, 707, 727, and 606, as well as several modified versions and the ability to load your own mono or stereo samples via SD Card - the Roland TR8S is a dream for sound designers as well as beatmakers. Amongst the new features include a much more creative Effects Bank, with a host of new instrument and Master FX types for limitless sound design. An Auto Fill In feature gives live performers a new tool to shake things up, and an LCD Display makes it super easy to navigate through presets and custom kits. Powered by Roland’s highly acclaimed ACB technology, each sample is a detailed, component-level model that sounds and behaves exactly like the original hardware. The classic 'boom', 'snap' and 'sizzle' of the original machines is intricately recreated as a truly authentic re-creation - but keeping the door wide open for creativity through your own sounds and samples. All of the envelope features can be applied to your own one-shot sounds for an amazing groove-making experience. You can program on the 16 TR-REC buttons or use the velocity-sensitive performance pad to play live, or record into the sequencer. Pattern creation on the Roland TR-8S feels natural and intuitive, thanks to the Roland ”TR-REC” step sequencer that’s been the beating heart of electronic music production for decades. The TR-8S can store 128 patterns-each with eight variations and three kinds of fills-and patterns or variations can be triggered individually or chained together for evolving sequences. The right effects can make a drum part stand out by creating depth and space. Whether it’s delay on a rim-shot, overdrive on a kick, filters on toms and cymbals, or just the right amount of reverb on select instruments, the Roland TR-8S Rhythm Performer has percussion-tuned effects that simply sound great. In addition to the Master FX knob, each channel has a customizable CTRL knob, placing all this sound-shaping power within easy reach. The attack of the kick, the snap of the snare, phaser depth, distortion amount-whatever parameter you need direct and immediate access to-can be assigned to the CTRL knob or Master FX knob and saved with the kit. The Roland TR-8S is designed to be the hub of your analogue modular studio. It features a dedicated trigger output as well as stereo audio inputs for external sources. And its assignable outputs can even be used as additional triggers. This lets you control external instruments and mix them with the TR-8S’s internal sounds, greatly expanding your creativity in the studio and performance possibilities on stage. Each pattern has a dedicated trigger track for access to all kinds of variations with no need to use up an instrument. Aside from being the most powerful drum machine ever made, the Roland TR-8S is a complete multi-channel audio and MIDI interface. When you connect the TR-8S to a computer or AIRA Link host, you can transfer MIDI and high-resolution audio over a single USB cable. Record each drum instrument to a different channel for individual processing and recording, automate parameter movements from your DAW by CC messages, or sync the TR-8S to your computer or Roland MX-1 Mix Performer for live sets or late-night jam sessions. The Serato x Roland TR-SYNC update brings the power of Roland’s iconic drum machines to your DJ setup. TR-Sync is a simple concept; when a user connects a TR-8S to Serato DJ software via USB, the TR drum machine will automatically sync to the tempo of the track playing in Serato. 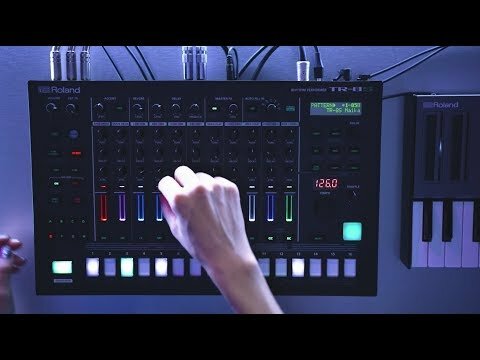 This allows DJ’s to seamlessly integrate Roland's TR drum machines into their live performance, for example to add a harder beat to a track, or create a loop under an acapella to remix on the fly. Simply connect your Roland TR drum machine to Serato DJ Pro and they’ll sync to the same BPM. Now you can easily add your own drum loops with the same drum sounds used on your favorite music. Flip genres, beef up classic tracks, remix and transition between songs in new ways. Anyone can play the next big track, but how many DJs can make it their own? 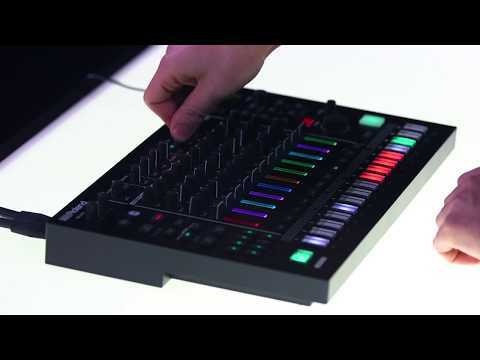 Hook up your Roland TR drum machine to Serato DJ Pro and elevate your game. Find out more information about TR-Sync on the Roland Website. Aesthetic and ergonomic improvements can be found throughout the Roland TR-8S, giving it a timeless design that fits any creative space.